Invite your Ex's & Oh's to this fantabulous party! 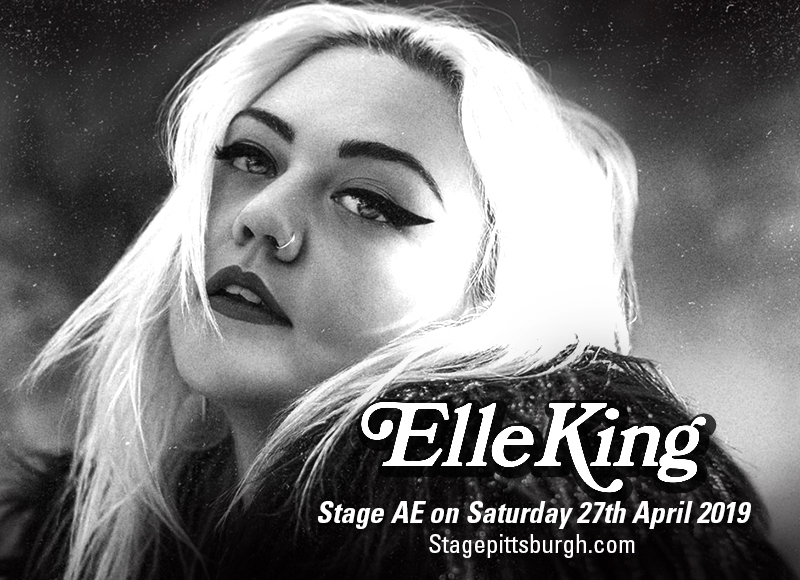 Blues, alt-rock singer-songwriter Elle King will throw a mad jam session at the Stage AE on Saturday 27th April 2019. Elle King's show is like a special date night where intoxicatingly great music overflows to give everyone a night to remember, and a compelling reason to post and update their social media feeds with #atm with matching selfies and groufies. Word travels fast within Elle King's kingdom of true blue fans, hence, they've surely been busy getting their hands on tickets. Don't leave this event to chance. Make sure you've saved the best seats in the house in time before tickets run out. What are you waiting for? Book those tickets now! Elle King has showbiz royalty in her blood. Though born to comedian and former Saturday Night Live actor Rob Schneider and model mother London King, Elle has carved out a name for herself in the realm of music. As early as 13 years old, she was rocking out to The Donnas, The Runaways and Blondie, all of whom inspired her to pick up a guitar and write her own songs. Then she discovered and developed a passion for bluegrass country which influenced her rock, soul and country style and sound. Elle King's debut self-titled EP earned big thumbs ups from critics and the press with Esquire Magazine hailing her as the "Artist to Watch in 2012". Yet it was her breakout hit, "Ex's & Oh's," that sealed the deal. Massive amounts of radio airplay, more than 93 million views on YouTube, plus two Grammy awards – "Best Rock Performance" and "Best Rock Song", proved that she is indeed a force to reckon with among her contemporaries. Mark this date: Saturday 27th April 2019 at the Stage AE. This is when Elle King will reign supreme. Click buy tickets now!